What do they all mean – the lascivious ape, autophagic dragons, pot-bellied heads, harp-playing asses, arse-kissing priests and somersaulting jongleurs to be found protuding from the edges of medieval buildings and in the margins of illuminated manuscripts? 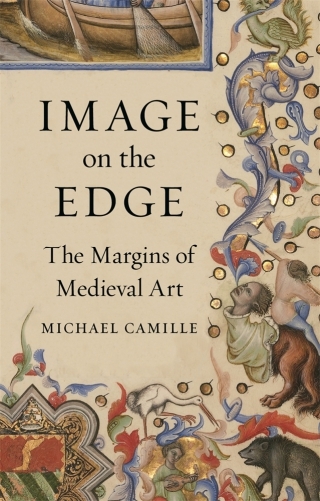 Now available in a new hardback edition, Michael Camille's Image on the Edge explores that riotous realm of marginal art, so often explained away as mere decoration or zany doodles, where resistance to social constraints flourished. Medieval image-makers focused attention on the underside of society, the excluded and the ejected. Peasants, servants, prostitutes and beggars all found their place, along with knights and clerics, engaged in impudent antics in the margins of prayer-books or, as gargoyles, on the outsides of churches. 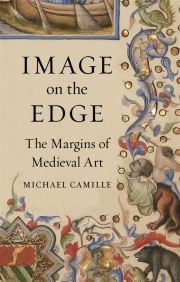 Camille brings us to an understanding of how marginality functioned in medieval culture and shows us just how scandalous, subversive and amazing the art of the time could be. Before his death in 2002, Michael Camille was Professor of Art History at the University of Chicago. His books include Image on the Edge (Reaktion, 1992), Mirror in Parchment (Reaktion, 1998) and The Gothic Idol: Ideology and Image-Making in Medieval Art (1989).